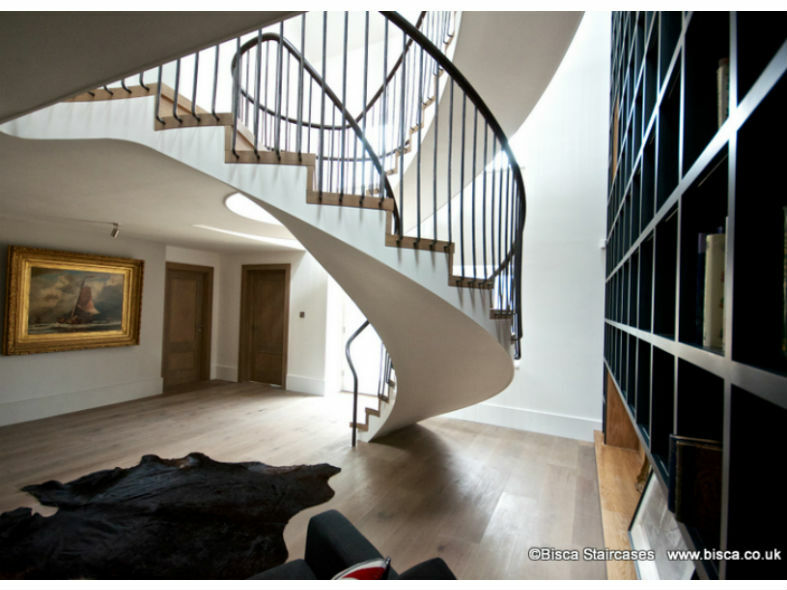 A multi flight helical stair design in a wonderful rambling North Yorkshire farmhouse undergoing total renovation by its current owners. 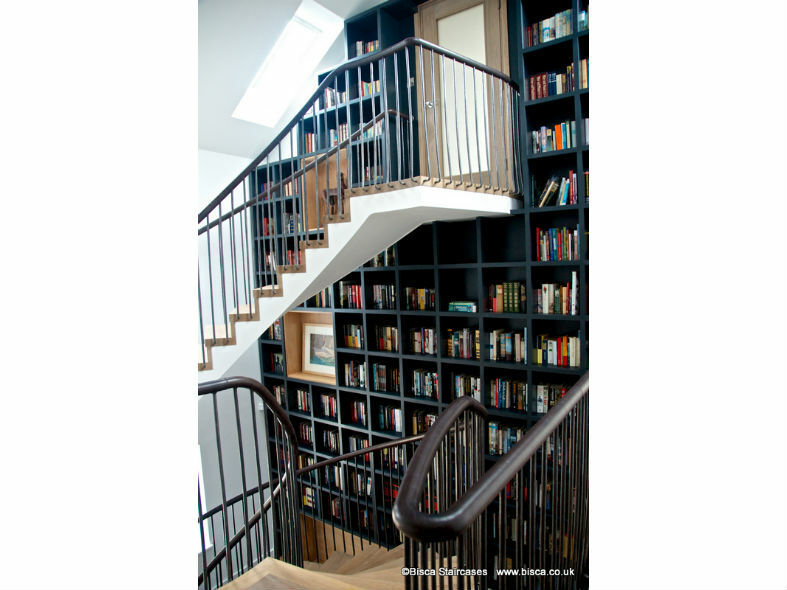 It was important to get as much light into the stair area as possible, because the area had a small window in addition to the dark solid wall of bookshelves adjacent to the staircase. 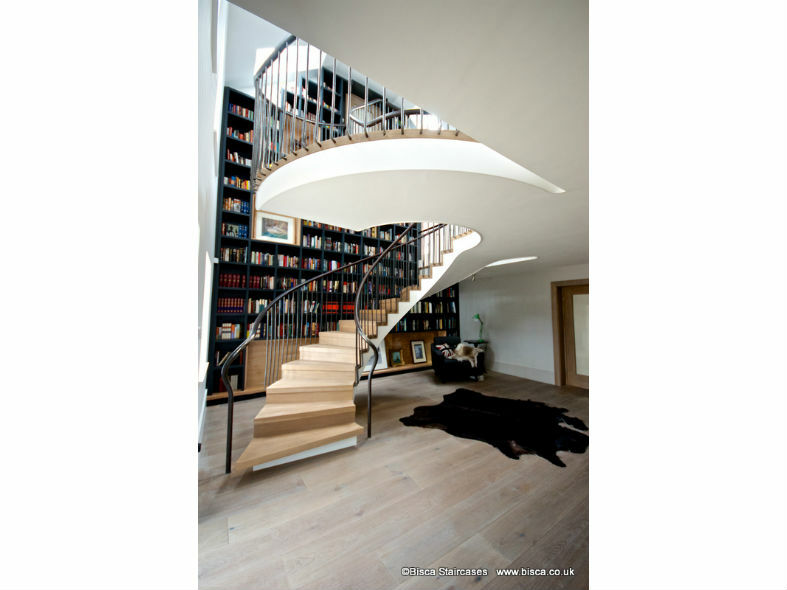 White painted curvaceous sculptured soffits on the underside are contra sted with oak treads and risers. The treads themselves are square-edged with the risers sligh tly set back for a clean, modern appearance. The noses are softened with a slight radius for sa fety and comfort. 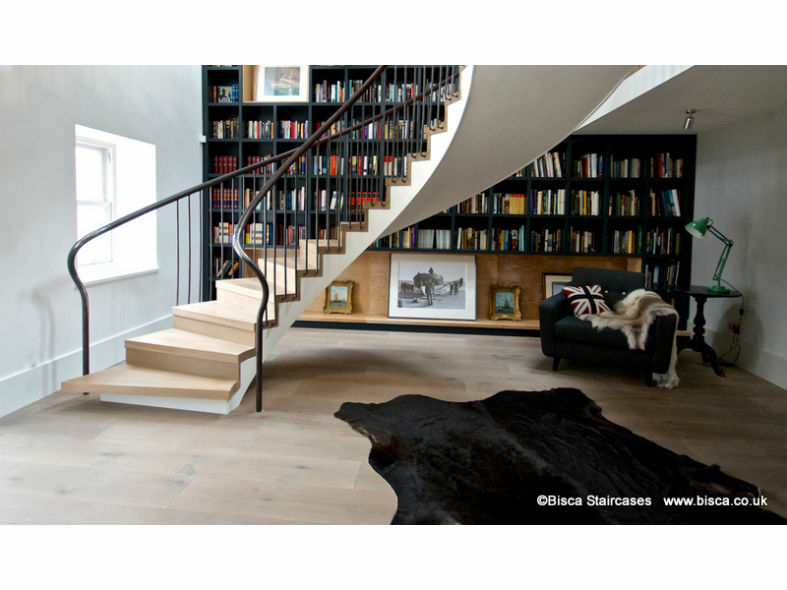 The staircases feature handrails supported by burnished steel balus trades. The balustrade uprights are forge-worked to give them an organic texture and a re subtly curved. They spring from the sides of the treads and bend tightly to the vertica l to support the handrails slightly outside the tread ends. 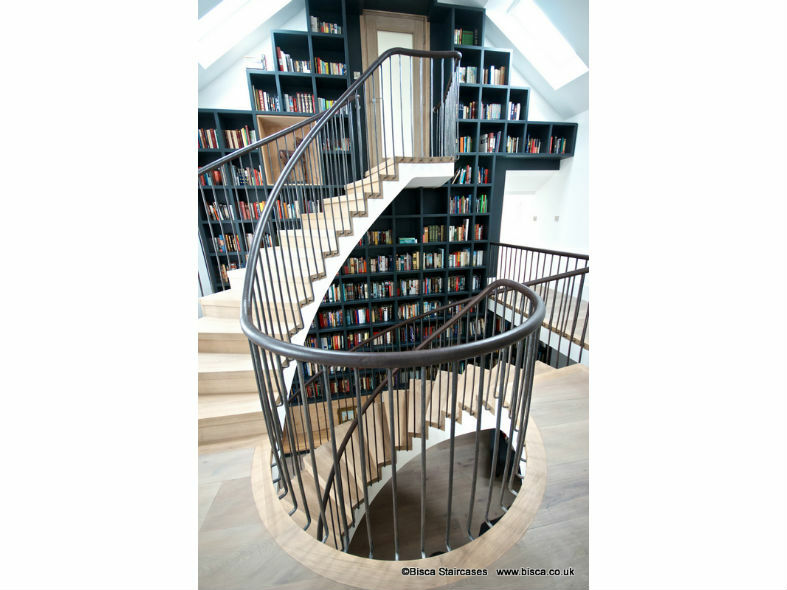 Leather handrails rise from the ground floor, spliced with forged and formed mild-steel newels. Newels have a burnished finish with elements of both mill scale and bright highlights which were strategically placed to create the illusion of having been cr eated by generations of hands passing up the staircase.